I usually write about apps that I use in my work. Apps that are perfect for consultants or freelancers. But sometimes I like to look at specialty business apps like Construction Master Pro. Apps like this are targeted to a specific industry and I like to look at them to get an idea of what is available to other industries. 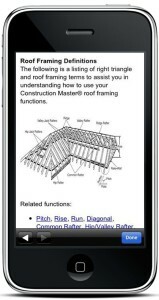 I’m going to do my best to give you a good overview of Construction Master Pro. Construction Master Pro is from Calculated Industries who makes technology based solutions for the construction industry. Calculated Industries has been around since 1978 and have one multiple awards over the years. 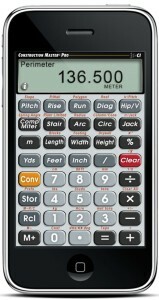 Construction Master Pro is actually a real calculator sold by Calculated Industries and is an advanced construction-math calculator. 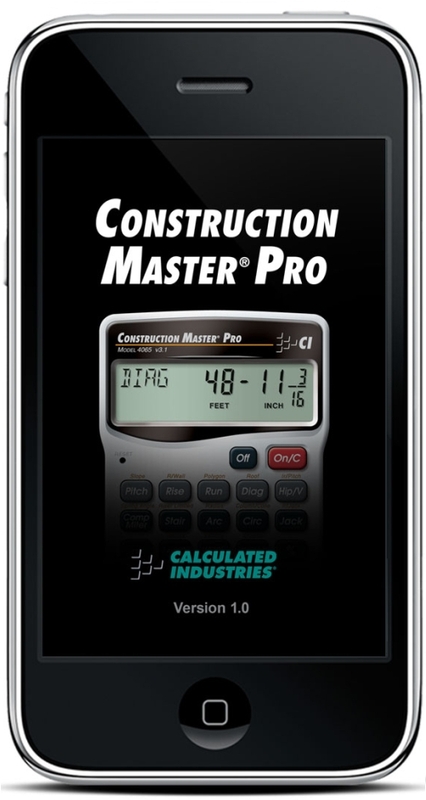 Now they have Construction Master Pro in Android, iPhone and Windows Phone versions. 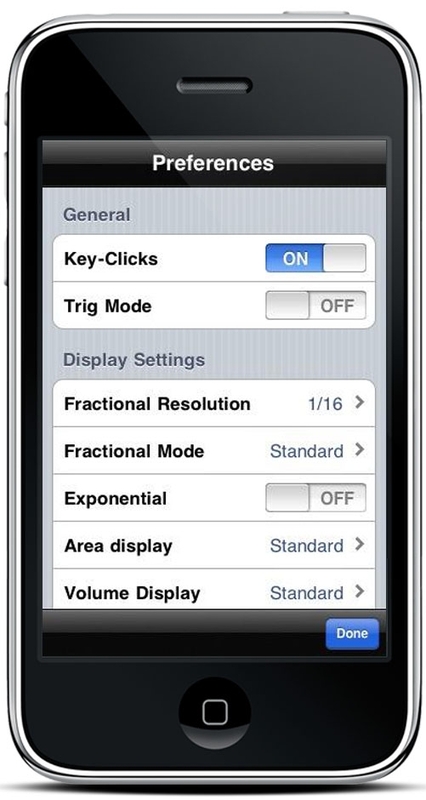 You get all of the benefits of the original Construction Master Pro on your smartphone. Construction Master Pro is build for Architects, Engineers, Contractors, Framers, and anyone else involved in construction. 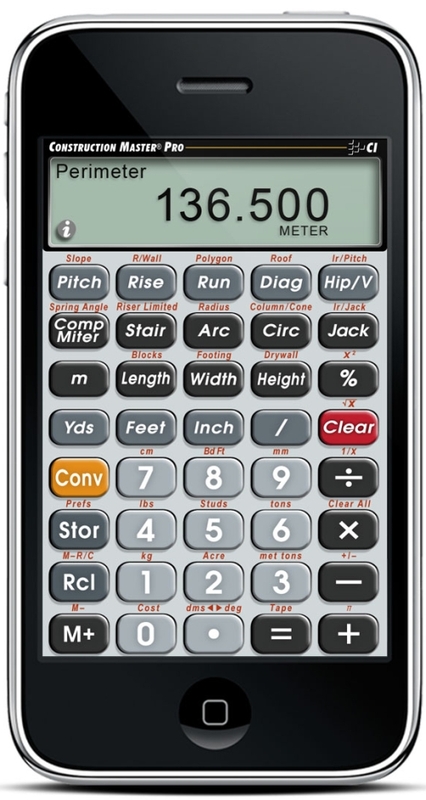 Errors in construction calculations can be very costly. 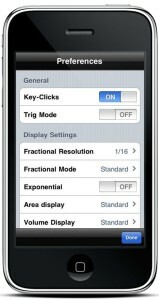 So having a dependable calculator on hand is of great benefit. As you can see, Construction Master Pro has a ton of features and the cost is minimal compared to how much it can save you just on one mistake. The app is available in Android, iOS and Windows Phone.